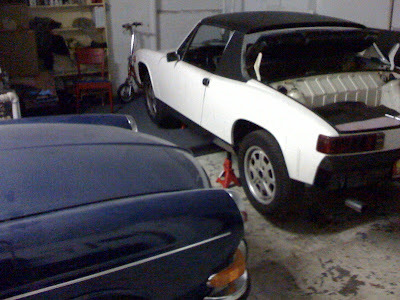 I'm taking the Volkswagen Type-IV motor out of the white 914, to prepare it for the electric conversion. The AC-150 is still in the yellow donor car which I bought from Jorg B., but the white car is in much better condition. 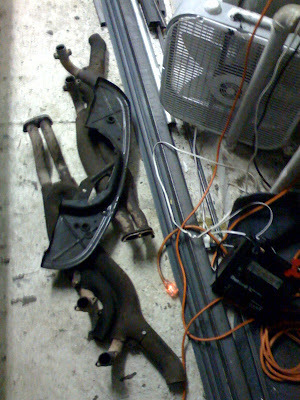 The old motor will be a donor—I'm also working on a type-IV rebuild using a kit from Aircooled Technology. The rebuilt motor will be fitted into my 1970 fastback. Ambitious, you say?